Cylindrical in shape. 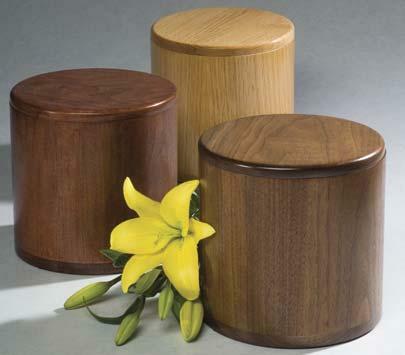 Available in oak, cherry or walnut with a natural satin finish. *Due to the nature of wood, color and grain will vary. 1) Engrave a metal plate (metal plates and appliques can only be applied to flat surfaces).